The conference is held in Aalto University’s Otaniemi Campus. Aalto University is a multidisciplinary community where science and art meet technology and business. Aalto University was founded in 2010 as Helsinki University of Technology, the Helsinki School of Economics and the University of Art and Design Helsinki were merged. 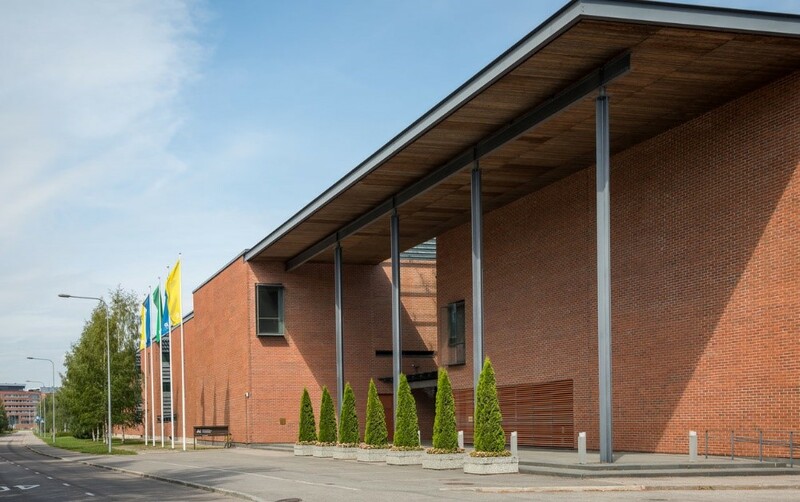 The main campus is located in Otaniemi in Espoo, Finland, 15 minutes away by public transport from the Helsinki City Center. Train: There is a train connection from Helsinki Airport to Helsinki Central Station (train I and train P; 35minutes), and from there you can continue with the Helsinki Metro, line towards Matinkylä, to Aalto yliopisto metro station (Aalto University) in Espoo (15 min). Please use exit B to arrive at the conference venue. The train is operating Mon-Fri 04:00 – 00:00 and Sat-Sun 05:00 – 00:00. The metro is operating Mon-Sat 05:00 – 23:30 and Sun 06:00 – 23:30. Taxi: By Taxi it takes approximately 30 minutes to arrive from Helsinki Airport to Otaniemi Campus and the price is approximately 50 €. Address of the destination: Maarintie 8, Otaniemi, Espoo. Metro: It is simple to arrive by Metro (line towards Matinkylä) to Aalto University in approximately 15 minutes. Please get away at the Aalto yliopisto metro station (Aalto University) and use exit B to arrive at the venue. The metro is operating Mon-Sat 05:00 – 23:30 and Sun 06:00 – 23:30. Taxi: A cost for a taxi to Otaniemi is approximately 30 €. Address of the destination: Maarintie 8, Otaniemi, Espoo. Train: The train connection between Helsinki Airport and Helsinki city center takes about 35 minutes. There are two services: train I and train P.
Buses: Line 615 and the Finnair City Bus operate between Helsinki Airport and Helsinki Railway Station. Line 617 operates between Helsinki Airport and Hakaniemi market square on rush hours from Monday to Friday. Buses will drop off and pick up passengers only in front of terminal T2 at Helsinki Airport. Taxi: Taxis are located closest to terminals T1 and T2. Agency-specific price information is available in front of the terminals, on the information screens next to the taxi stands. The price is approximately 50 €. The Helsinki metropolitan area has an integrated public transportation network, covering Helsinki, Espoo, Kauniainen, Vantaa, Kerava, Sipoo, Kirkkonummi, Siuntio and Tuusula . The entire area has an integrated ticketing system, HSL, where tickets are valid on all buses, commuter trains, trams, Metro and the some ferries (e.g. Suomenlinna). The price of the ticket depends on the zone(s) in which you wish to travel, i.e. whether you travel within Helsinki or between Helsinki and Espoo where the conference venue locates. Internal ticket allows the holder to travel only in either Helsinki, Espoo or Vantaa, while with regional ticket you can freely move around four municipalities: Helsinki, Espoo, Kauniainen, and Vantaa. Helsinki Airport, Helsinki city center and conference venue are all located in different zones, thus you need to purchase a regional ticket to travel between them. With a single ticket you can use any mode of transport for 60-80 minutes depending on zone. You can transfer from one vehicle to another with the same ticket while it is valid. Day tickets are available for unlimited use on all public transportation for 1-7 days within one or multiple zones. Helsinki Card holders can travel free of charge on public transportation within Helsinki. You may find all public transport ticket prices and other details from HSL web site. The timetables of trains and buses in the Helsinki metropolitan area are available in the HSL Journey Planner. Where to buy tickets for public transport? You can buy a ticket from the following spots: HSL ticket automates, R-kioski, Alepa grocery store or by using HSL mobile ticket app. In the airport, you can also buy tickets in WH Smith and Tourist information. Please note that it is not possible to buy a ticket in the trains.